Poverty is frighteningly efficient at destroying human beings at every level of existence and Feeding America: Top Hunger Relief Charity is there to combat this fearsome enemy. Nearly forty million Americans are being cared for through a carefully planned and managed network of services that cater to the poverty stricken, low-income households and even single parents. Poverty strikes at the very core of human existence and spreads through to every aspect of the human being. It creates a downward spiral that will take every ounce of strength and will-power to break free from. Many will never break free because they simply cannot see what’s happening to them. Poverty debilitates and blinds so that you end up going from bad to worse and you are completely unable to recognize this fact. Even if you do have a vague idea that you are capable of more; that you are worth more, because of the constant worry and sense of panic, your brain is numbed and you simply cannot think creatively. The fact is that you need help and Feeding America: Top Hunger Relief Charity understands where you are and they can give you the help you need. There is an old saying which states, “Give a man a fish and you feed him for a day but teach him how to fish and you feed him for life”. Sadly, this is where many charities fall short. They are very diligent in providing food, shelter and clothing and no-one can criticize their sincerity or their value. Food, clothing and shelter are always immediate needs and as such, they have to be supplied immediately. But supplying a person’s needs without any attempt to make that person independent is not a long-term solution. You will only tend to make him more and more dependent. Feeding America: Top Hunger Relief Charity is dedicated, not only to supplying immediate needs on an ongoing basis, but to making people independent in the process. Human beings are full of smug and glib advice. If you’re out of work they will simply tell you to get a job, without actually taking the time out to see how difficult and nearly impossible that is in some cases. Many people have been sending CV’s to companies for months without any success. When you are struggling you might be told to get help, by people who would not know how to get help if they were in your shoes. The sad fact is that most people do not understand how poverty affects the brain and how severely it handicaps its victims. Most people in dire straits do not need to be told to get help. They need to be told how to get help and in some cases, where the effects of poverty are severe, they need to be taken by the hand and led through the process. Obtaining help from Feeding America is really not difficult and whether you or someone you know needs help, there are a few simple steps to follow. Talk To Someone. One of the tragic effects of poverty is that it attacks self esteem. It is embarrassing and humiliating to have to admit poverty. But there are many people who will listen to you without judging you; People you can go to who will understand. Your local religious leader, whether he be a rabbi, priest or pastor will be sympathetic and he will be able to guide you. There are many charity shops around and these, although they are designed to raise funds for the respective charities, are usually manned by volunteers who have their charity at heart. Not many people will think of talking to them but they too will be able to point you in the right direction. Find the Food Bank Closest to You. Feeding America has over two hundred food banks countrywide and finding the one closest to you is a good first step. They will help and guide you through the process of getting your life back on track. Find an Agency Near You. Feeding America has a number of agencies that they work with and they too will guide you through the process. 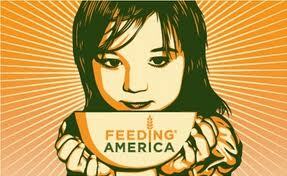 Feeding America: Top Hunger Relief Charity are professionals, as it were, in helping those in need. Their dynamic and proactive approach allows for a very efficient service. The agencies they work with relieve the burden and make the process of getting the needed help to the right people, very effective. These agencies include the following. You may find any of these agencies in your telephone directory or on the internet. They all offer assistance which is designed to supply immediate needs and to help those in need to regain their dignity and independence. Some of them have very practical and exciting ways to do this. One of the innovations which the Supplemental Nutrition Assistance Program, (SNAP) has come up with is a card which acts like a debit card and which you can use at a number of shops and retail outlets. This goes a long way to helping people feel like they are control of their lives and it removes the embarrassing factors completely. The effects of poverty are diverse and interrelated. One of the key issues is embarrassment. Nobody wants to advertise the fact that they are struggling financially and this makes the work of Feeding America that much harder. Yet, over fifty million Americans live in households where there is no reliable or secure flow of good, healthy food. The fact is that you are not alone if you find yourself in this position. In an attempt to make it easier for everyone who needs help to get that help with dignity, Feeding America has a number of programs in place. The Back Pack Program – There are many programs that cater to children at school but Feeding America: has identified an often unnoticed need – the siblings of those children at school who are not yet of school-going age. It stands to reason that if the child at school needs help, then so do his or her brothers and sisters. The Back Pack Program addresses this problem by supplying extra meals to the scholar which can be taken home in their back packs so that the younger children in the family also have a good meal. Kids Café – Feeding America has a very effective Kids Café program. Public schools, churches and youth organizations in your area may already be a part of this program. Not only are they able to offer a host of recreational, social and educational activities that could benefit your family, but children are able to get free, healthy meals there too. Check in your area for any organization that is involved with this program. Chances are that your children may end up spending a lot of time there anyway. National Produce Program – There is usually a shortage of fresh produce because of the shelf life. Distributing perishable fresh produce is a huge challenge which is addressed by this innovative program. In 2010 Feeding America distributed nearly fifty seven million kilograms of fresh fruit and vegetables to the needy across the US. Feeding America: Top Hunger Relief Charity has been running for thirty years. Their more than two hundred food banks serve over sixty one thousand agencies and they are able to offer assistance to about thirty seven million hungry Americans each year. Hunger is often overlooked and it is usually a partner of poverty. A huge percentage of American households have to live on an income which is less than a half of the official poverty line. Nine out of ten consumers studied showed a more positive image of companies that are seen to support a good cause. Eight out of Ten consumers agreed that they would switch brands if a product were associated with a good cause, especially if it were a cause they cared about. Eight out of ten consumers believe that supporting a good cause should be standard policy for all companies. The message to the man in the street is clear. Do business with those companies that support hunger relief programs like Feeding America. This is a concept called “Cause Marketing”. It is interesting to note that consumers have become very sophisticated over the years. There was a time when companies were lampooned for supporting causes for the sake of increasing their own sales but with programs like Feeding America who rely so heavily on corporate sector support and involvement, the public’s acceptance and even demand for it is encouraging. As mentioned before, many people are embarrassed by having to ask for help and we all understand that. If you keep your eyes open at your child’s school, at your church, at work or at your various clubs and associations, you might fund someone who needs help and whom you can guide in the right direction. Feeding America: Top Hunger Relief Charity has been successful, and indeed, has grown in the past few years under the dynamic leadership of Vicki B. Escarra. She and her group of volunteers who man the food banks and the logistics of the program have excelled themselves and you can help by giving generously whenever they have a fund raising drive. If you own a grocery store or retail outlet, you can take advantage of the positive impact that Cause Marketing will have on your business by supporting theirs. Many businesses use Feeding America as a good way to salvage unsalable goods. Rather than just dumping it, they feed millions of Americans. The sad thing is that Feeding America has to turn down a lot of food every year because the cost of collecting it is too high. One enterprising shop owner has collection boxes at each of his check out points, clearly marked as a collection for fuel for delivery to the local food bank. His customers are more than willing to put in their spare change for a good cause. It is estimated that every Dollar saved on logistics can feed up to seven people. Are You Ready To Feed America? Imagine that you are driving down the road and come to a halt at a stop sign. A child, clothes in tatters, shivering from the cold comes up to you and asks for a few cents. Many people would help him and many would not. But imagine if when you came to stop and this child approached, by some mystery, it turned out to be your very own child. Would you help him then? And how would you help him? Would you toss him a few coins and shoo him away? Or would you do everything in your power to make sure that he got all the help he needed? We often tend to view others as having to be responsible for their own lives but one of the saddest things about poverty is that it robs individuals of the ability to take responsibility in ways no-one can understand unless they starved and been cold and naked. If we could find it in our hearts to look through softer eyes we would see the reality before us and the reality is that there are innocent children in need. No child needs to go to bed hungry and cold. No mother should have to look into the pleading eyes of her offspring and try to explain that there is no food again. With your help and with dedicated people like those who run Feeding America: Top Hunger Relief Program we can all make sure it does not happen to our country’s children.